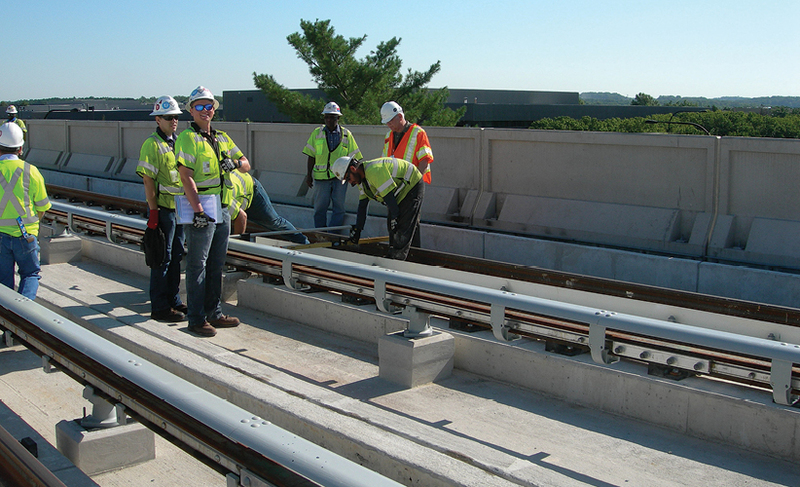 Construction of the future Dulles Airport Metrorail Station and tracks on aerial guideways continues to change the landscape of the airport. 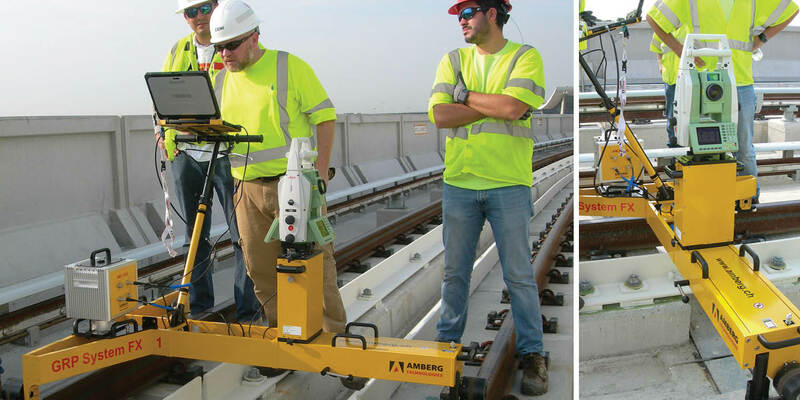 Capital Rail Constructors has taken advantage of the few bright sunny skies this summer to place tracks on guideways and perform inspections while building out station interiors and support facilities. 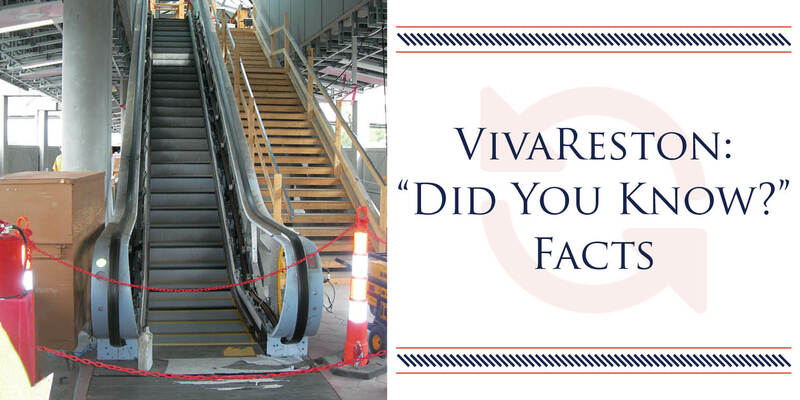 Soon elevators will be installed in the station and work continues to complete the transformation of a tunnel that will contain moving sidewalks to carry airport users from the rail station being built in front of a parking garage to the airport terminal. 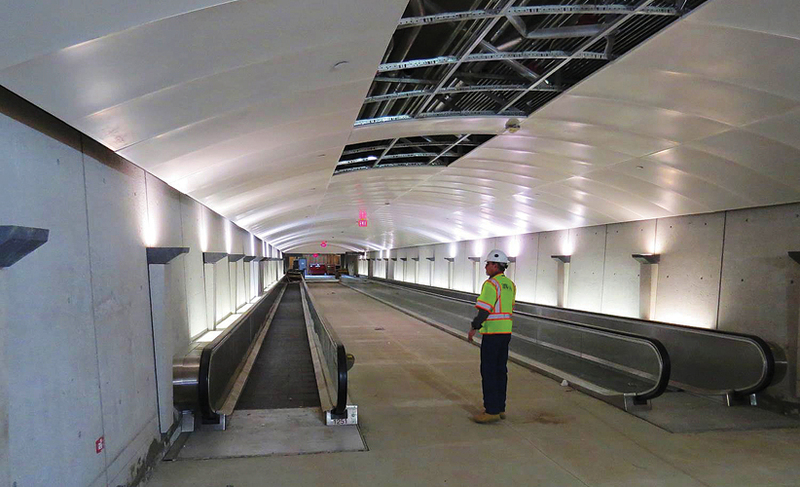 This replaces an old tunnel in the same spot that was closed to allow for new moving sidewalks. 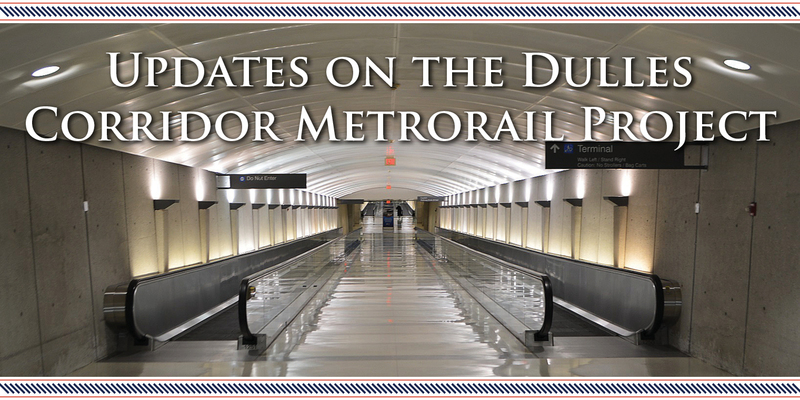 The new tunnel will reopen in the coming months. 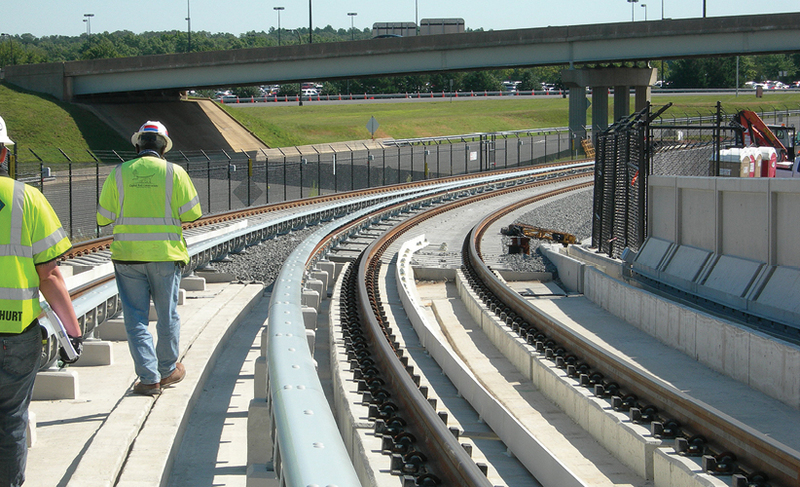 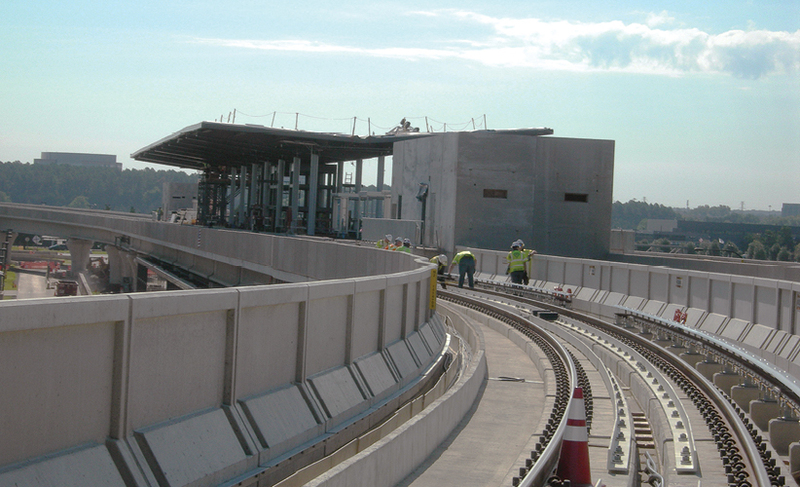 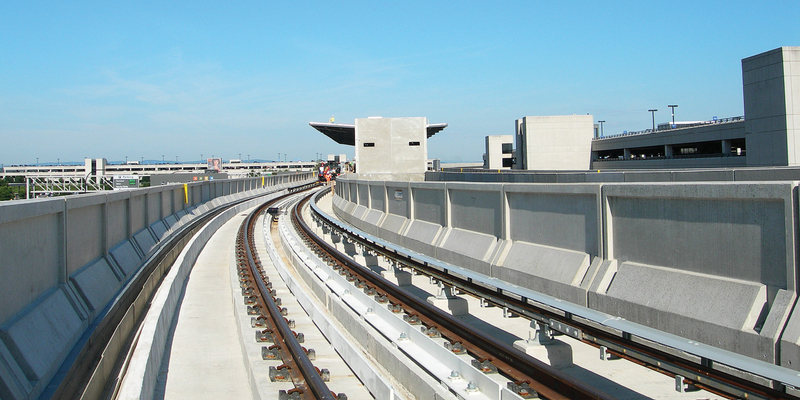 Pictured at top: Looking to the west along the inbound tracks of the aerial guideway at the Airport Station. 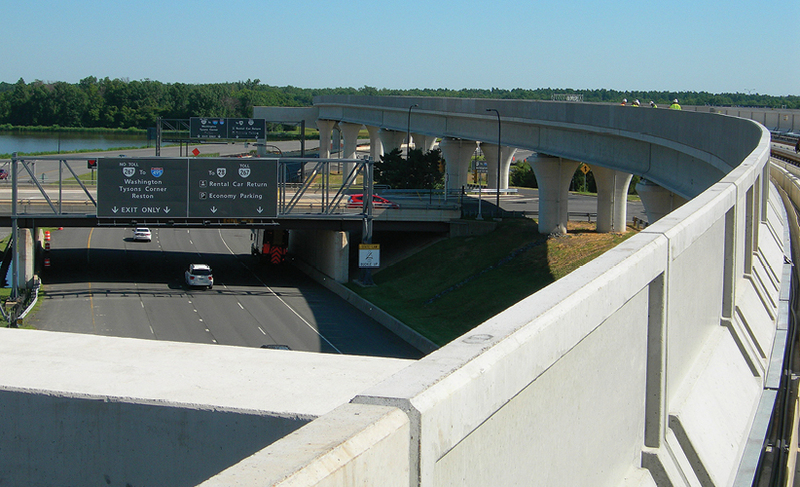 Parking garage A is on the right side of the photo. 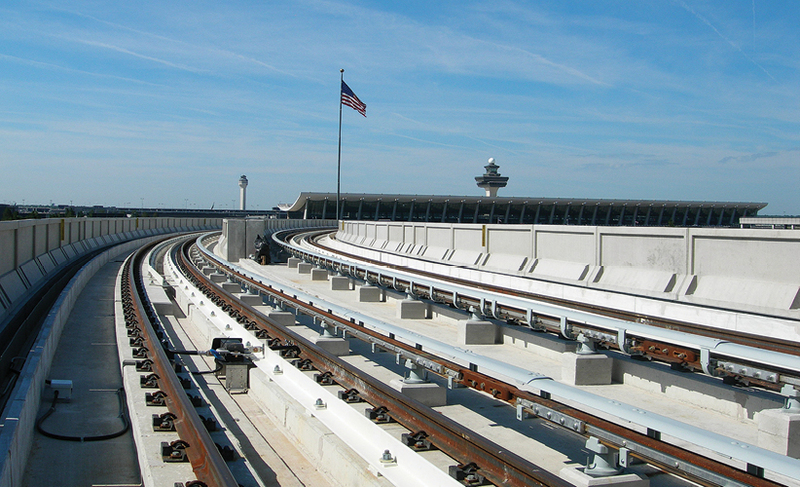 The Airport terminal is off to the left. 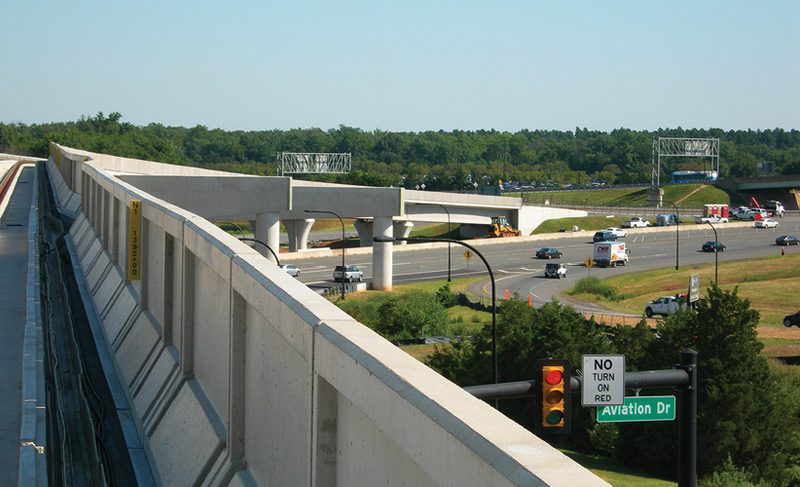 Approximately over Saarinen Circle.